RBL Bank IPO has generated strong interest levels among market participants in the grey market. Premium rates for the first private sector bank in over a decade have firmed up to around INR50 per share in the grey market in the last week. This is up from nearly INR40 per share the shares were commanding when the IPO price band was announced. The INR1,213 crore (INR12.13 billion) IPO opens for subscription on 19 August. The IPO of the bank – earlier known as Ratnakar Bank – has been priced at INR224-225 per share. 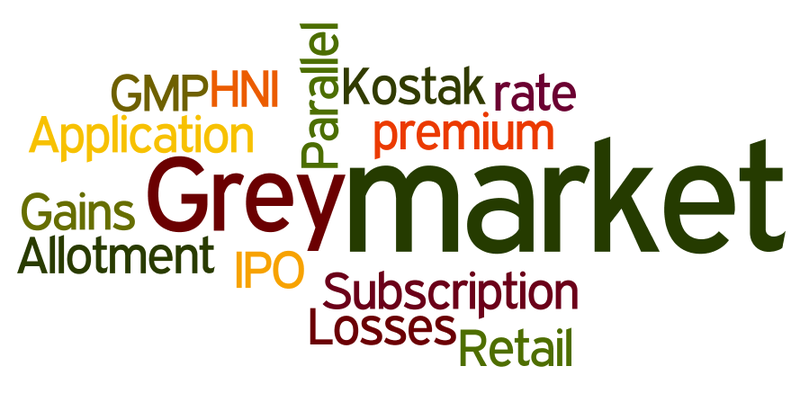 Grey market premium (GMP) indicates that the shares are likely to list at around INR270-275 per share, indicating potential returns of nearly 25% over the IPO price. Kostak rates or application rates are hovering around INR750 – 800. Gray market activity in RBL Bank IPO in the key markets of Ahmadabad, Jaipur, Rajkot and Bangalore has picked up significantly in the last 4 – 5 days. The parallel market is not recognized by stock exchanges but has been effective in correctly identifying listing prices of several IPOs in the recent past. Since the market is not regulated, GMP rates tend to be fickle as well as unreliable in cases where premiums are slim. The parallel grey market purely operates on the trust between brokers and investors. Under this system, shares allotted to IPO applications are sold by brokers without actually transferring the shares to their accounts. As such, it is a mechanism which allows retail investors to lock profits before the stock lists. On the other hand, buyers in grey market – often high net worth individual (HNI) investors – undertake bigger risk by paying for applications which may not yield allotment. It is not surprising to see high GMP for RBL Bank IPO which has a great management led by Vishwavir Ahuja and a marquee list of investors which include CDC Group, Asian Development Bank (ADB), International Finance Corporation (IFC), Norwest Venture Partners (NVP), and HDFC. Among all the big investors, only GPE India and Beacon India Private Equity Fund are selling some of their shares. The bank has grown tremendously in the last six years but still boasts of low NPAs in an industry fraught with non-performing loans. We have published our analysis and thoughts in our IPO review which is available here. Feel free to let us know what your thoughts are and participate in the discussion on RBL Bank IPO. ← RBL Bank IPO Review: Good to bank with?